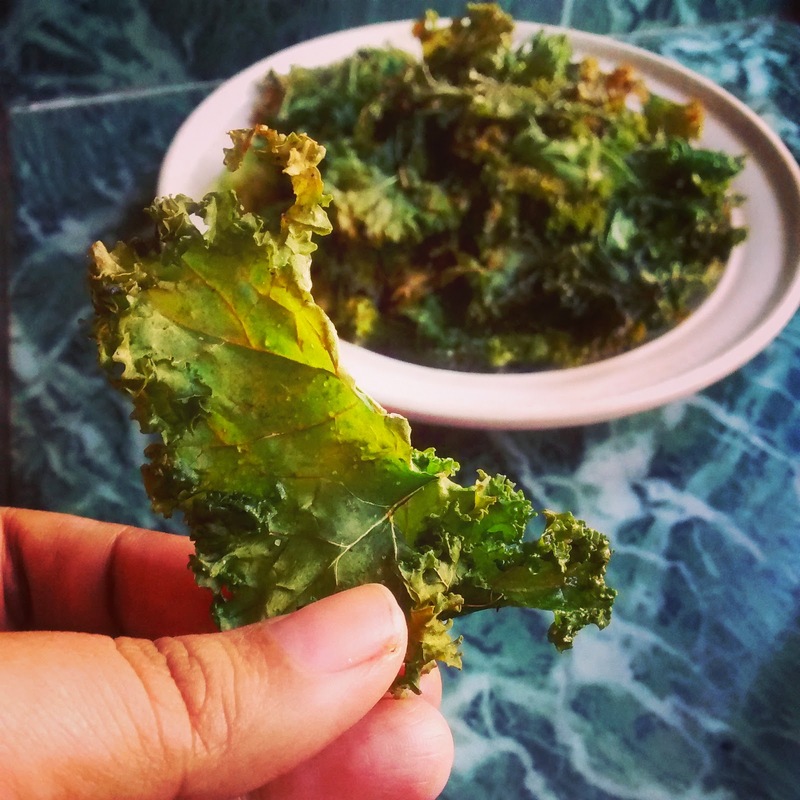 Caramel Wings: Recipe: Kale Chips! Kale is the new superfood in the market. Everywhere I go, every article I read, every video I watch, is gaga about Miss Kale. 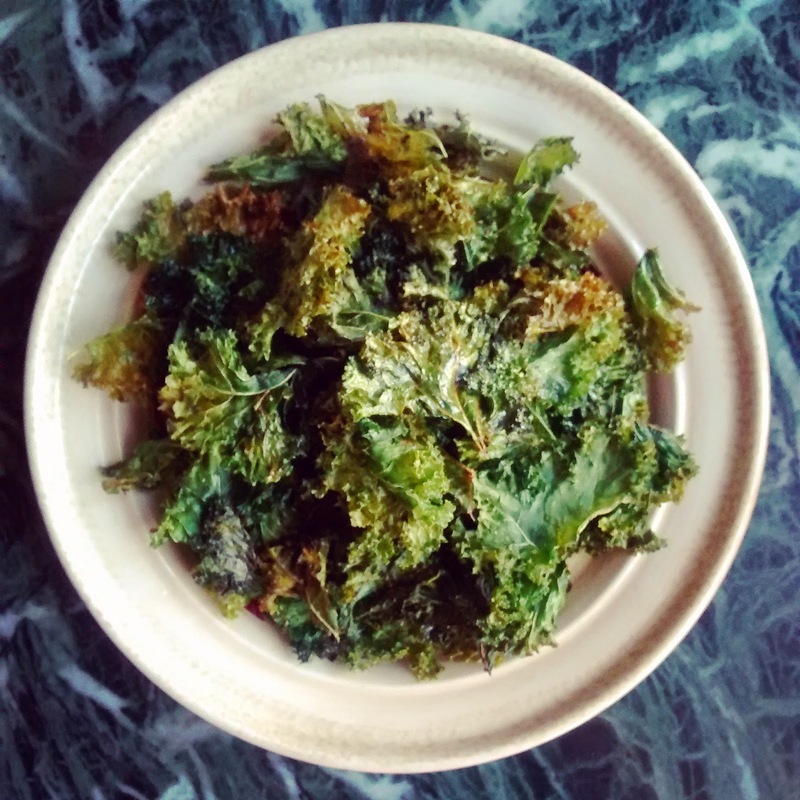 I just had to find out what the fuss was about, so I decided to make me some Kale Chips. But of course, I would not deep fry them. In order to make a SLITE change, I baked them instead, and sprinkled with low sodium Tata salt lite instead of the regular fare, and Oh My God! The possibilities with this recipe are endless! Not only are these chips nutritious, they can be your go-to for those midnight snack cravings, or while watching movies. They aren't crunchy, they're KRRUNNCHYYY (seriously, they make that sound while you eat them). So what are we waiting for? Let's do this! A bunch of Kale, washed, patted completely dry. Tata Salt Lite, to season. Preheat oven to 170C/340F. Grease a cookie sheet or two with a tsp of Olive Oil. Prep the Kale. We need to tear the Kale into bite sized pieces along the middle thick stem. Discard the thick stem. Please bear in mind that the chips will reduce in size as they bake, so tear accordingly. Transfer the leaves into a bowl. Drizzle some Olive Oil and massage the Kale. You'll notice it will start to wilt a little. Season with Salt and Pepper, and any other seasoning you like. Massage well. Arrange on the cookie sheet such that the leaves are not overlapping one another. We want them to bake, not steam, and overlapping would make them steam. Bake in the oven for 10 minutes or until bright green and crispy. Let it stay for a minute on the cookie sheet before you transfer them to your serving bowl. These don't stay very long as they're a crowd pleaser, but if you do intend on storing them, a brown paper bag would be a good bet! I baked half of them with Salt and Pepper, and the other half with Chili Oil and Brown Sugar and mixed the two. We're having a lot of fun munching on the mixed goodness here at home! Oh my god! 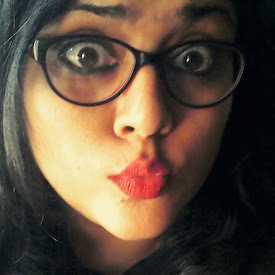 Am back after a loooong hiatus from blogging but I have been reading about Kale everywhere too. Havent tried it yet thoough. But dude, this looks and sounds smashing!! Where do you get your Kale from by the way? Natures Basket? I know what you're saying. I'm back after a long break as well and throughly enjoying it! I bought the Kale from my local Sabzi wala. He had a huge packet from Trikaya for 30 bucks!